The 2020 JONES Storm Chaser looks like it was made for Japan, but it's so much more. Jeremy Jones, the owner and founder of Jones snowboards, says this is his favourite board in the range, not just for powder but for resort riding as well. As you can imagine, it performs incredibly in powder, floating, surfing, speeding, and doing everything you want, but put it to work on the groomers and you'll find it carves and glides like you wouldn't expect. Surprisingly stable and fast while still being super nimble, the Storm Chaser is a board you're going to be seeing more and more of, not just overseas, but here in Australia as well. The Storm Chaser is designed to float, carve, and at the bottom line, be a powerfully fun board. For 2020 Jones have updated the core of the Storm Chaser and added rounded recycled ABS sidewalls for improved topsheet durability. Oversized Recycled Edges - Exactly what it sounds like, enhanced sustainability and added durability. Eco-Plastic Topsheet - An ultralight chip/scratch resistant topsheet made from castor beans. Good for your board, good for the environment. Traction Tech 1.0 - Like a serrated knife cutting through the snow, Traction Tech adds multiple contact points along the edge of the board for enhanced grip and edge hold in all conditions. 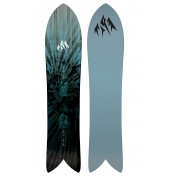 Web Fused Carbon Reinforcement - A carbon stringer pack designed specifically for this board to reduce nose chatter. Wend Natural Wax - Jones boards are ready to shred straight out of the shop and are factory waxed with Wend natural wax. Super Sap Bio Resin - All Jones boards are built with bio-based, renewable epoxy instead of petroleum based epoxy. The raw materials used to make Super Sap Bio-Resin are co- products or waste products of other plant- based industrial processes. Producing Super Sap requires 33% less greenhouse gas emissions than conventional epoxy. Recycled Rounded ABS - ABS Plastic is one of the necessary evils of snowboard production. 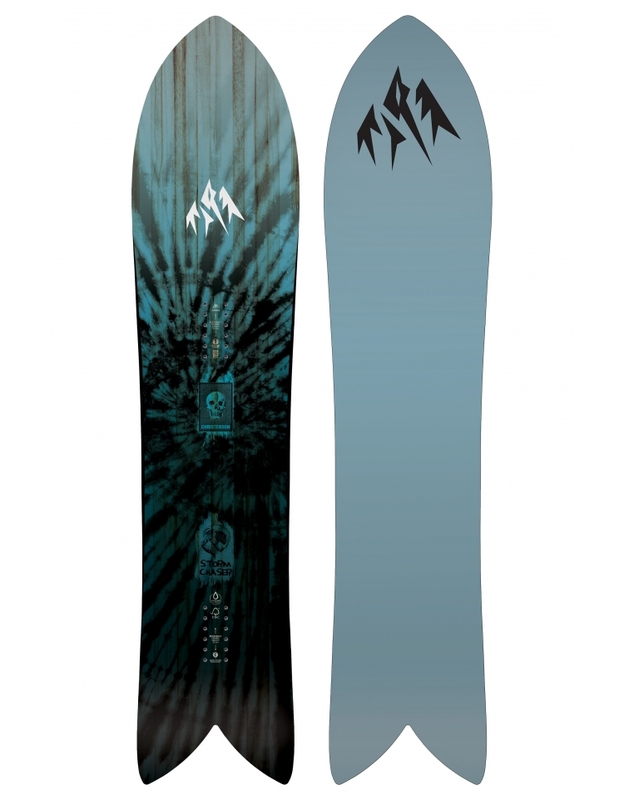 Jones improve the sustainability of their snowboards by using only recycled plastic.